Alcatel Lucent Telephones System OmniPCX office is an Enterprise Communication Server. The expert enterprise phone system for medium, large and very large-sized companies.Today’s organizations want to improve business responsiveness while offering employees more flexibility in the way they work. The Alcatel Lucent Phone System OmniPCX office Enterprise Communication Server helps employees connect in real time whatever their location and hold high-quality business calls with colleagues and customers.Organizations can connect the Alcatel Lucent PABX System OmniPCX office Enterprise CS to the Alcatel-Lucent Rainbow cloud service.The Rainbow mobile and borderless collaboration application is the perfect business phone companion and helps employees respond faster and better to business requests. Alcatel PBX system in UAE is most reliable system for office, SMB, SME, alcatel phones and Enterprise solutions. Alcatel telephone system in dubai designed for large and growing businesses who utilize any level of applications from basic to the most advanced. 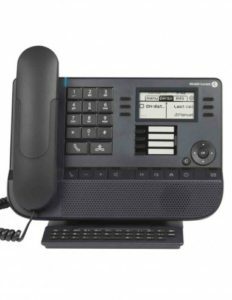 VoIP support the Alcatel Lucent PABX Telephone system is even capable of providing multi-location ISDN Private Networking communication effectively consolidating all remote branches onto one pbx telephone system. we are Alcatel distributor, dealer and supplier. We are doing installation, programming in UAE. Acepaq All of the rich suite of CTI applications is available to improve efficiency and increase productivity from call center to office networking. Quality business response: Zero lost calls; powerful communication tools ensure instant connection to the right people. Mobility: Standardized communication experience across the organization; employees can use desk phones, wireless handsets, or softphones at the office, on site, at home or on the move. Instant business response: Employees exchange instant messages, video, and screen sharing with their teams and business community while leveraging the office phone. Simplicity: Unified communications delivered by a cloud service connected to the phone system; seamless user experience; agile IT operations. Cost-saving: Expect lower telecom bills with free Voice over IP (VoIP) across sites, built-in least-cost routing and centralized trunks to SIP, and traditional service providers. Reliability: High-availability options maintain vital business continuity during network or server outages. Contact Acepaq for Alcatel pbx system and alcatel phones in Bahrain, Oman, Saudi Arabia, Africa, Kenya, Nigeria, South Africa, Uganda, Costa Rica, Croatia, Czech Republic, Cuba, Cyprus, Iraq, Maldives, Algeria, Morocco, Egypt, Jordan, Kuwait, Lebanon, Tunisia, Angola, Ethiopia, Ghana, Zimbabwe, Abu Dhabi, Dammam, Baghdad, Sana’a, Cairo, Beirut, Kabul, Khartoum, Nairobi, Afghanistan, Brunei, Cambodia, Georgia, Iran, Kazakhstan, Kyrgyzstan, Laos, Mongolia, Palestine, Syria, Yemen, Vietnam and Uzbekistan.